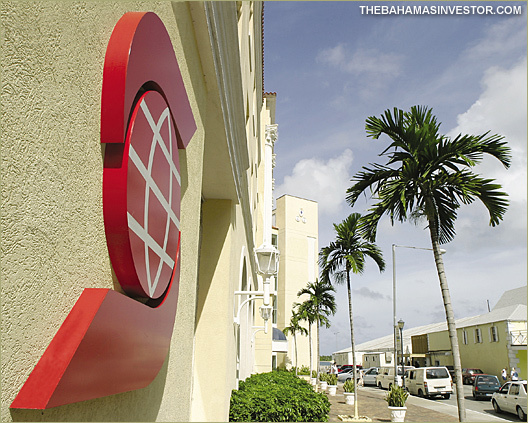 In his first official interview with the Bahamian media on Monday, Scotiabank (Bahamas) Ltd Kevin Teslyk talked about the bank’s vision for the future and its strategy in the current economic environment. “We’ve got a very strong trust operation here in The Bahamas. That is a global operation,”?said Teslyk, who arrived in the jurisdiction in June. In comparison to its financial peers, Teslyk believes Scotiabank (Bahamas) is still relatively new to those areas catering to high net worth individuals (HNWIs), but he’s quick to add that the bank has lots of global capability, products, services, ideas and solutions that it would like to introduce to existing clients, as well as to new customers. The offshore and corporate side of the business also presents opportunities, says the new managing director, who started at Scotiabank as a teller 20 years ago. “There’s an interesting dynamic right now in the region. There’s a number of different jurisdictions that target and serve the offshore, international financial services market. The Bahamas is arguably, the biggest, the deepest, the most sophisticated,” said Teslyk, who spent the last 10 years specializing in international banking. Regional offshore centers are trying to “almost reinvent themselves.” Various jurisdictions are leveraging their strengths and core competencies in an attempt to exploit new, previously overlooked opportunities. “Because there are fewer opportunities for growth you have to be very acute in terms of where you focus and in some cases broaden your area of focus,” said Teslyk. In 2001, Teslyk joined Scotiabank’s International Banking division as an international associate. In 2004, he was appointed director of International Corporate & Commercial Banking, at the bank’s executive offices in Canada, where he played a leading role in supporting the bank’s international units in the development, structuring and negotiation of corporate and commercial transactions throughout the Caribbean, Central America and Asia. In March 2005, Teslyk was appointed assistant general manager & head of Scotiabank’s Corporate, Commercial and Offshore Banking activities in Barbados. In March 2009, he was appointed managing director of Scotiabank’s Caribbean East sub-region where, in addition to country management responsibilities for Barbados, he oversaw Scotiabank’s retail, corporate and commercial, offshore and wealth management businesses throughout the Eastern Caribbean and St Maarten. 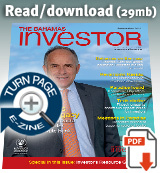 In June 2011, Teslyk assumed his current position as managing director, Scotiabank (Bahamas).